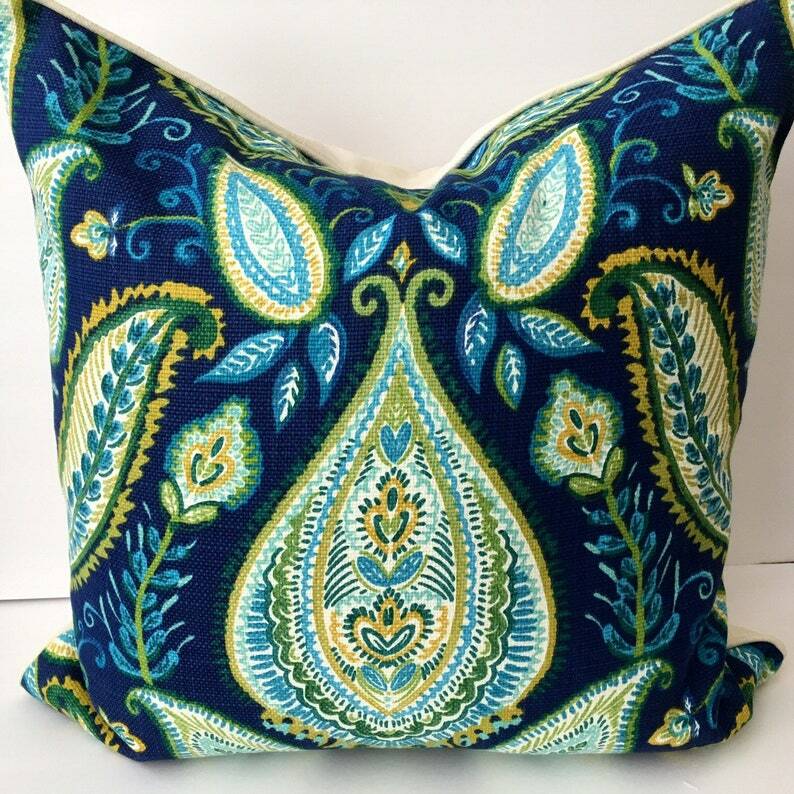 A 21 inch square royal blue and cream decorator quality throw pillow cover in an artistic paisley pattern. Corded and backed in solid cream with invisible zipper closure. A generous quality feather pillow insert available. See separate listing. Fabric seems to be mostly cotton.